As Storm Emma begins to whip up The Beast From The East, your thoughts may turn to what sportives are coming soon before our own Mount Leinster Challenge. So here is three that might whet your appetite. The SERC 3 Peaks Challenge 2018 will take place on Sunday the 8th of April. Please note it is mandatory to have a 2018 Cycling Ireland licence. One day licenses are available at sign on at a cost of €5. As the event numbers are limited it is advised to sign up online as soon as possible. 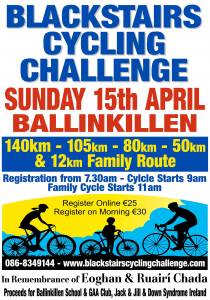 The Blackstairs Cycling Challenge is a cycle sportif which takes place in Ballinkillen, Co. Carlow. It is dedicated to the memory of Eoghan and Ruairí Chada, our two friends who are always in our thoughts. This year’s event takes place on Sunday 15th of April 2018. 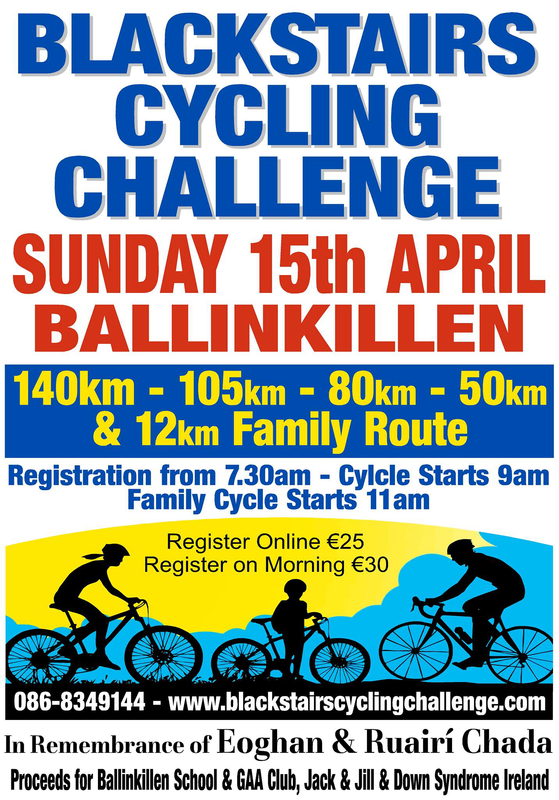 All routes start and finish in Ballinkillen (See link below to find us on google maps). 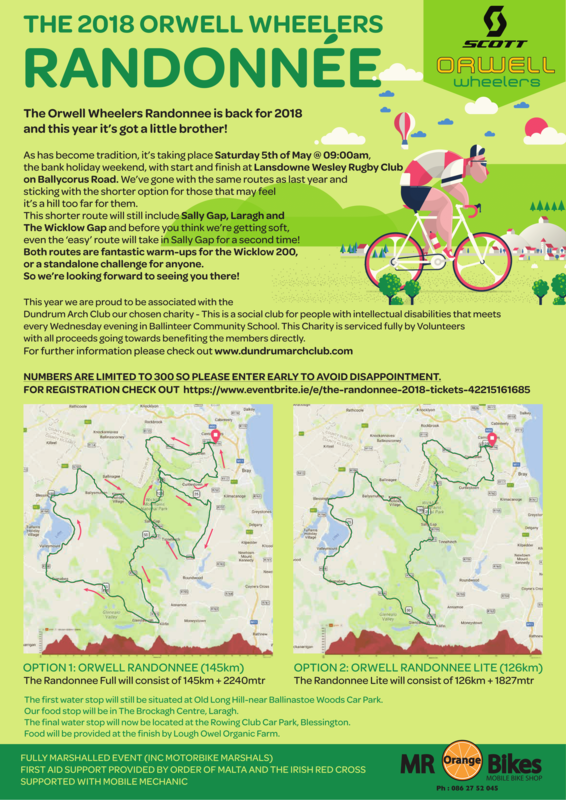 The Orwel l Wheelers Randonnée is back for 2018 and this year it’s got a little brother! As has become tradition, it’s taking place Saturday 5th of May, the bank holiday weekend, with start and finish at Lansdowne / Wesley rugby club on Ballycorus road . We’ve gone with the same route as last year but are now including a shorter option for those that may feel it’s a hill to far for them. 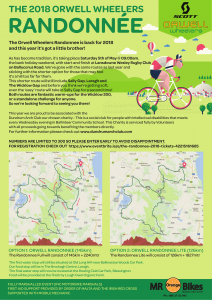 This shorter route will still include Sally Gap, Laragh and Wicklow Gap and before you think we’re getting soft, even the ‘easy’ route will take in Sally Gap for a second time! Numbers are limited to 300 so please enter early to avoid disappointment.